May buy any quantity. May redeem any quantity for groups. Recommended for ages 13 and older. Not valid with any other offers. Sales tax due at checkout. Valid through: Oct 31, 2015. See the terms that apply to all deals. This Halloween, watch your nightmares come to life as ravenous zombies chase you through an endless maze of dark and haunted hallways. This attraction is not for the faint of heart. Do you have what it takes to survive? Although there is no age limit, Seven Peaks recommends this attraction for ages 13 and older. Stop going to the same old haunts year after year and come try out the Haunted Attic! 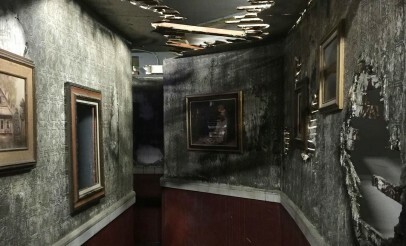 Seven Peaks has hired an experienced professional to create one of Utah's best haunted houses. 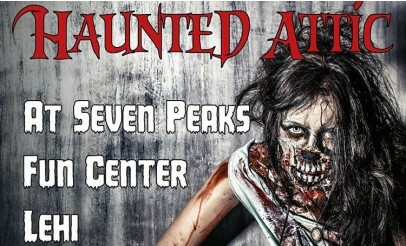 The Haunted Attic will be at the Seven Peaks Lehi location in the laser tag arena. As a result, laser tag will be closed until November 15. Your worst fears will be haunting the Attic until October 31.